An adventure in learning and play with me and my tot. In my never ending quest for protein and recent quest for weight loss I've been experimenting with meal replacement bars. I really wanted something made with real food that included all the food groups. 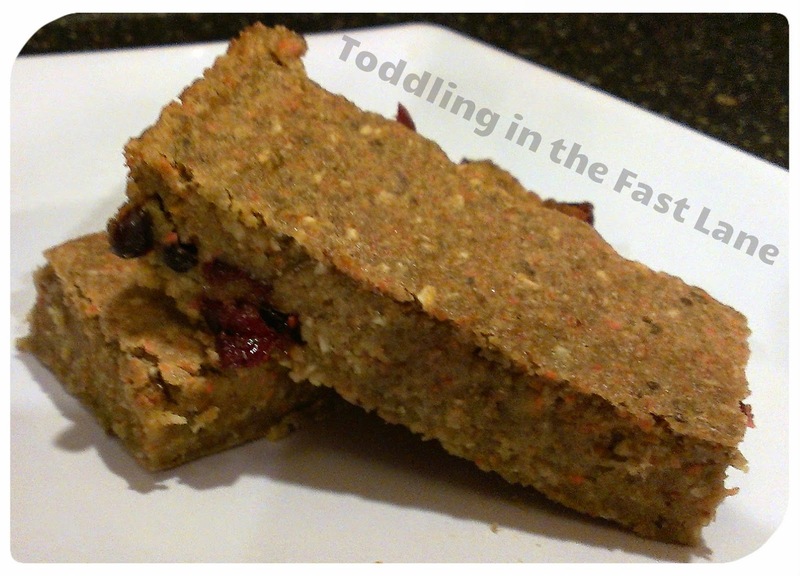 This recipe is inspired by a lentil cookie recipe from foodnetwork.com and it is Chiquita and Mommy approved! Let the first three ingredients cook either in a pan on low heat or in a crock pot until the lentils are nice and soft. Remove the cinnamon sticks and let cool. Throw the lentils and the next 7 ingredients into a food processor and blend very well. Add flour and oats and blend just until well mixed. Stir in the dried fruit. Pour the mixture into a greased 9" x 13" pan (nonstick spray works fine) and bake on 375 for about 30 minutes. After cooled cut into 16 bars (a pizza cutter works great!). They will go bad so I recommend refrigerating them unless they'll be eaten in a few days. With Chiquita I actually call them cranberry cookies because she loves the cranberries so much. I'm a "stay-at-home" mom who doesn't like to stay at home. My munchkin and I visit fun places in our community, make crafts, and learn. Join us! Have you started earning cash just by searching online? Check out swagbucks.